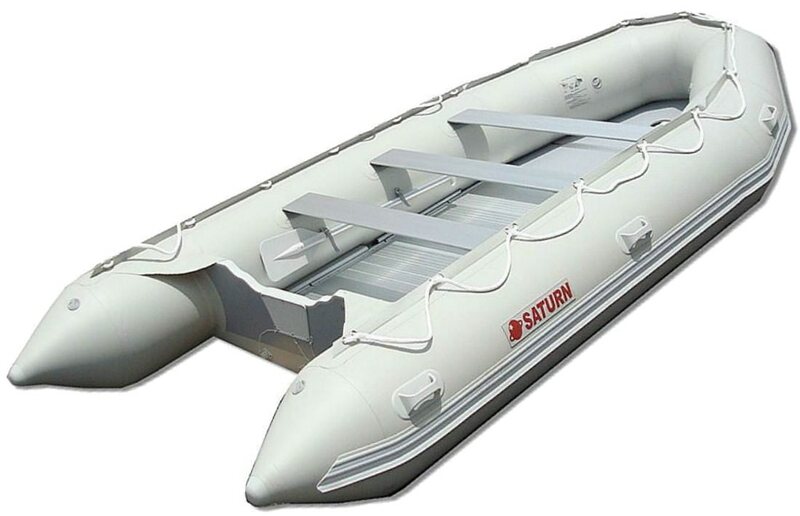 The 15 feet inflatable boat SATURN SD470 is a heavy-duty motor boats with aluminum floor. 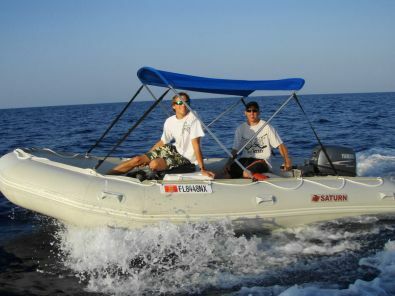 15' SATURN SD470 inflatable boats are made with premium quality materials, and can handle up to a maximum of 8 persons. 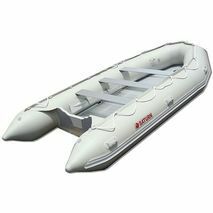 SD470 inflatable motor boats are made of 1100 denier Korean PVC fabric with polyester support that has excellent resistance to tearing, tension and breaking. 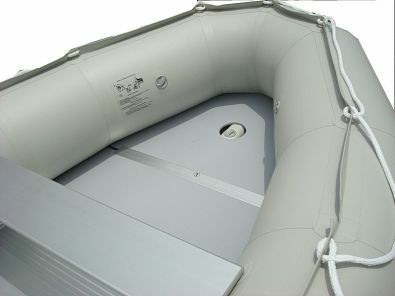 It is a much more heavy-duty PVC fabric than most of our competitors with 1000 denier PVC boats. The heavy-duty outer layer, protects the boat against UV rays, ozone and abrasion, and inner layers provides perfect strength and adhesion. Click here to find out more about our PVC fabric. 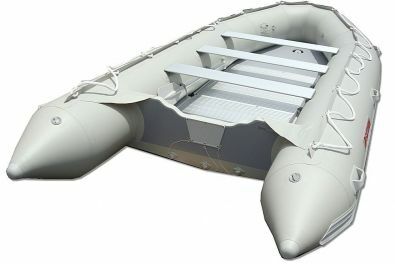 Deflated, the SD470 boat will fold to the size of one large and heavy bag with tubes and another large and heavy flat bag with a floor. Once deflated and folded, the SD470 can be stored in the back of your SUV or minivan, large closet of your apartment or in a garage. 15' SATURN inflatable boats come standard with a sectional heavy-duty aluminum floor. 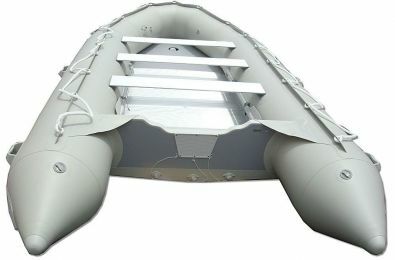 The bow section is made of a marine grade plywood floor covered with a gray resin. 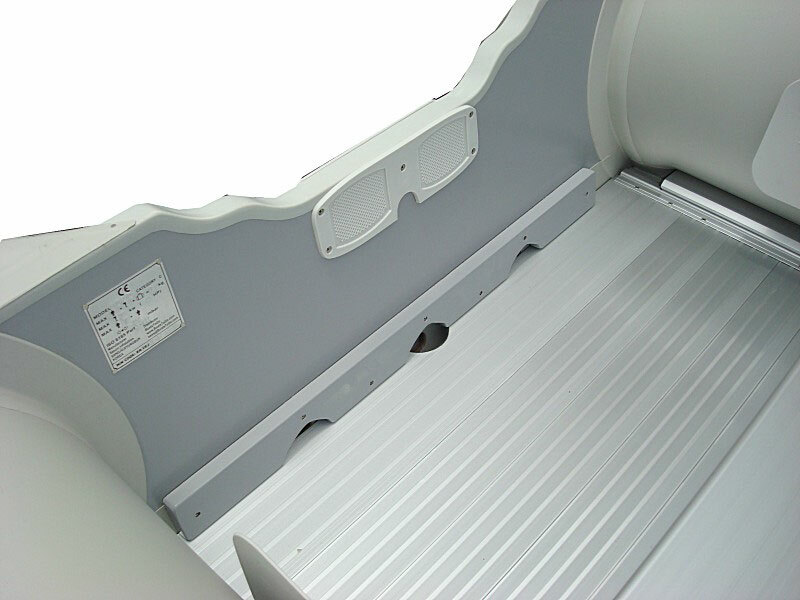 Aluminum floor installation steps are here. "I use my boat to go offshore fishing and take it 20 miles offshore on calm days to fish. When I bring all my fish into the boat ramp and clean them people constantly ask me about the boat. Holds up to 8 persons maximum or 5-6 comfortably. Equipment: T-paddles, repair kit, seat benches and carry bag. is awesome! I shared with my friends they all love it. Looking forward for summer. Thanks again. "